Fintech is booming and our industry is rife with buzzwords such as artificial intelligence (AI), big data, robo-advisory, blockchain, cryptocurrency, insuretech, cloud computing and crowdfunding. 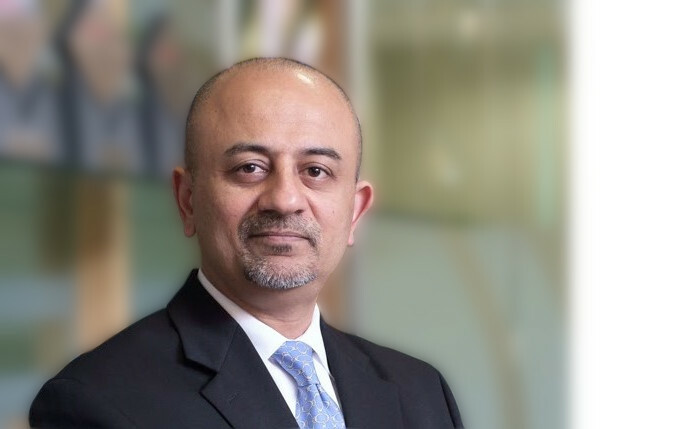 But when all the euphoria and the almost inevitable crash have passed, we will be left with some rather significant changes to the global economy, the companies that operate in it and the asset management industry that invests in it, according to investment veteran Pranay Gupta. 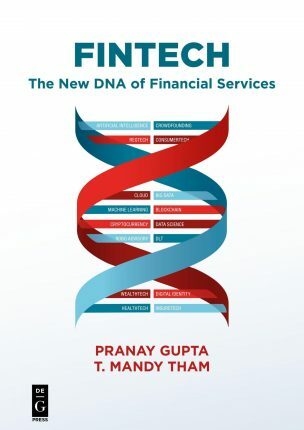 Gupta is an adviser to asset managers and asset owners across the world on multi-asset investing and fintech and has recently co-authored a book on the subject: Fintech: The New DNA of Financial Services. He says that despite the current hype around many of these topics, the impact of these new technologies is vastly underestimated. “With the advent of fintech, AI and neural networks, everyone wanted to get on that bandwagon and now says: ‘Oh, we have been doing this for a long time,’” he says. “But if you ask managers: ‘What percentage of your assets are managed using big data and AI methodologies?’, then you’ll find that it is still very small. He says he sees parallels with the rise of the internet in the 1990s and expects financial technologies will bring a similar boom and bust cycle for many new companies before they emerge as a powerful game changer in the industry. “I was living in New York in 1998 when the internet boom was happening and I attended a huge conference on dot-com, where there were thousands of companies and everyone was a dot-com,” he says. “When you look at it now, 20 years on, it is probable that 99 per cent of those companies don’t exist today. But the ones that did survive, which include Amazon, Hotmail [Microsoft] and eBay, they brought revolutionary change to the whole ecosystem of how consumers operate inside the economy. The asset management industry is already seeing many changes due to technological advancements and Gupta recently concluded a project where he implemented a data platform for a large investor in the Middle East to deal with all the new sources of information. “Just to give you a sense of the scale of the changes that are happening now: I’ve set up a data platform for a large group in the Middle East that is managing large pools of assets. There are literally hundreds and hundreds of new data sources that have become available in the last five years or so,” he says. “Are these sources available to everyone? Yes, everyone can buy them. Can everyone afford to buy them? No. To a degree, the implementation of these new data sources, sometimes called alternative data sets, is an arms race. The larger organisations will have more firepower to implement more powerful systems and more data sets and this will give them an edge over smaller managers. “To give you a simple example: today there are people who are predicting the oil price. There are hundreds of analysts that will look at OPEC, the demand and supply and all of that, but until recently there was no data available on the exact inventory of oil across the world. Everyone was estimating what the inventory was,” Gupta says. “Today, we are using satellite images where we can see the inventory of every single tank across the world, so you have a far more accurate estimate of how industry levels are moving and where storage capacity levels get hit. “If you are an analyst and you don’t have that data, then, yes, you might be smart and you might be good at prediction, but the fact of the matter is that the person that has that data is more likely to be accurate. Another direct consequence of the availability of large amounts of data is that risk management functions will become more important and will move from a middle-office function to be embedded within the investment teams. “I think what has progressed is that the skill of how not to lose money has to go hand in hand with the traditional portfolio manager skill of how to make money. Risk and return are two sides of the same coin; they can’t be separated into two organisational silos,” Gupta says. Blockchain is potentially one of the most disruptive technologies, regardless of whether cryptocurrencies survive or not. Gupta believes the ability of this technology to decentralise information and cut out many middle and back-office functions will result in a large reduction of companies in archaic industries that consist largely of intermediaries, including banking, custody and even stock exchanges. “The impact of this technology is that it takes out the middleman, which means that you probably don’t need 30,000 banks in the world,” he says. To a large degree, stock exchanges are already feeling this pressure and they are a key target for blockchain disruption. Gupta expects to see far fewer exchanges over the next 10 years. “Why do you need a stock exchange in every single country?” he says. Will we move to a situation where there are only a handful of stock exchanges across the world? Gupta believes so. “Yes, that development has been happening for many years already. That is why you see all these mergers happening. But with the implementation of blockchain, progressively across the world, that will speed up the process quite dramatically,” he notes.